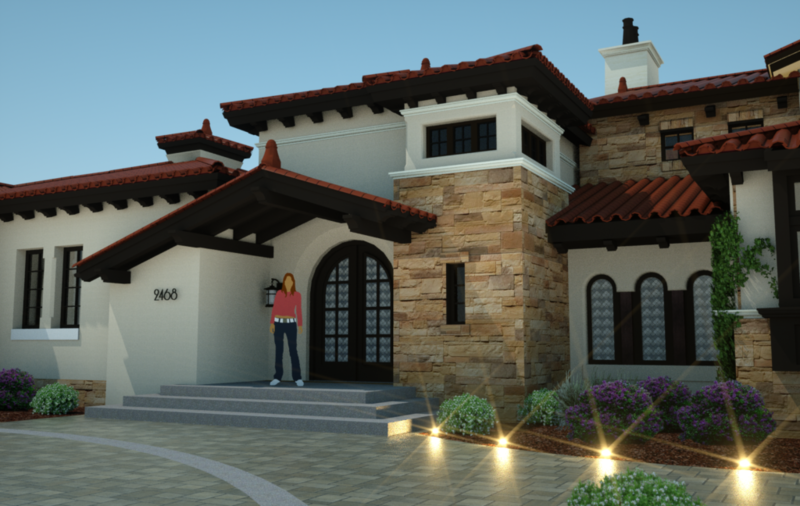 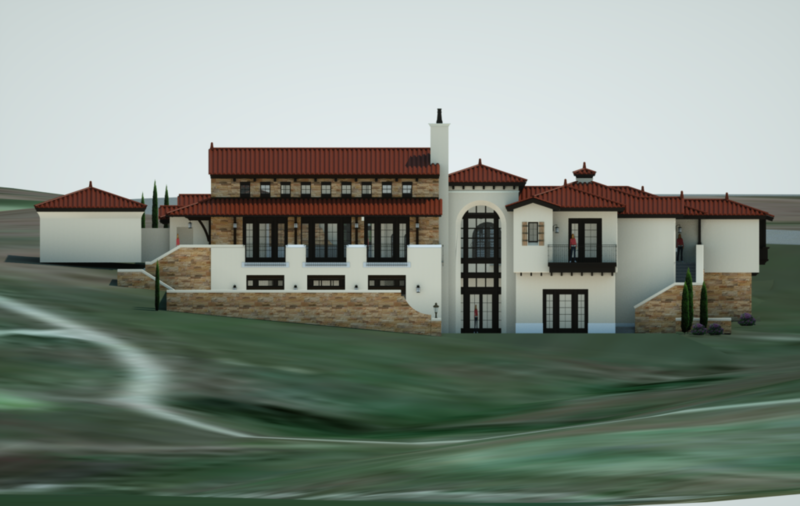 Located just above the golf course tee box on the 18th fairway, this contemporary "Spanish Colonial Revival" design for a large single family home makes a notable residential statement. 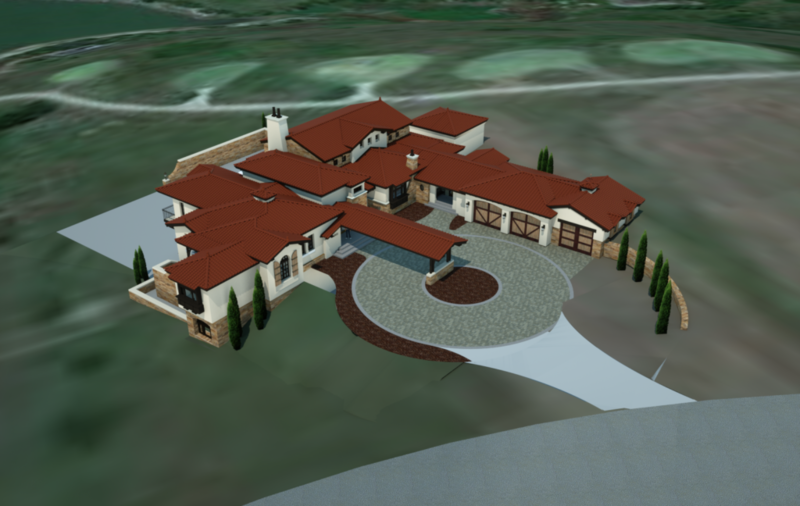 With two levels of interior space that feature a soaring great room, open dining room & kitchen, four bedrooms, six baths, home office, a home theater, and a screened-in solarium, the expansive floor plan is clearly designed for gracious living. 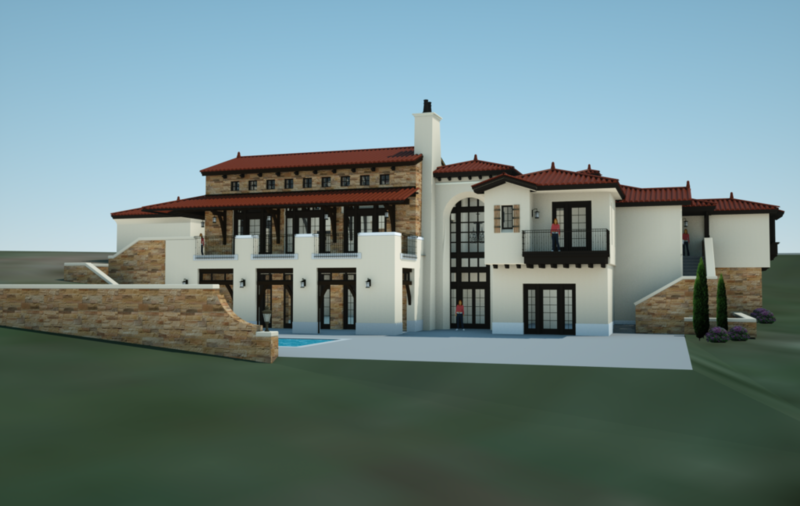 The home's hilltop setting offers panoramic views of the surrounding golf course, and the club house is virtually a driver's stroke away from the backyard pool deck. 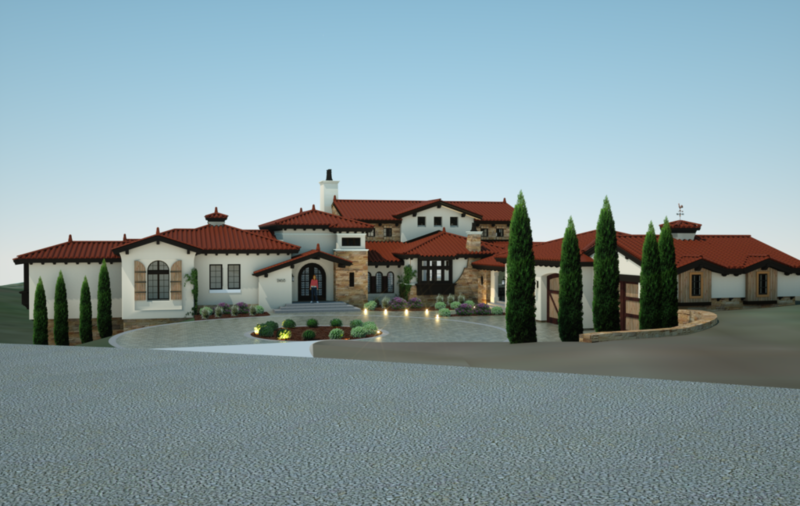 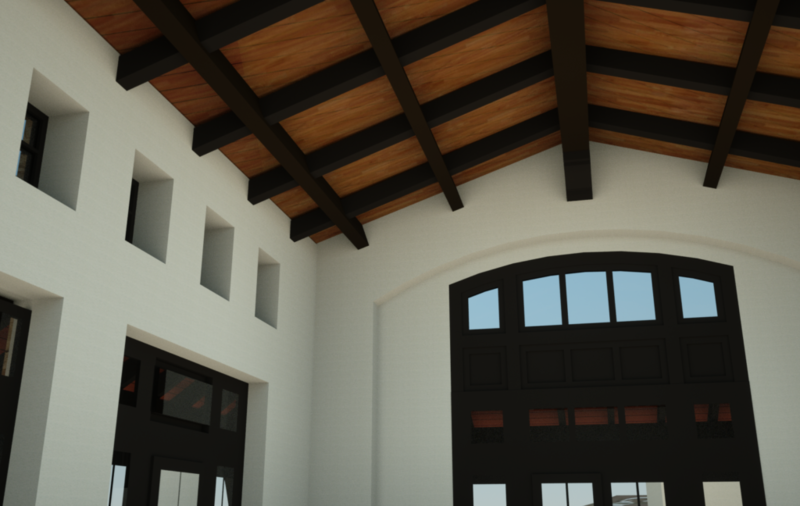 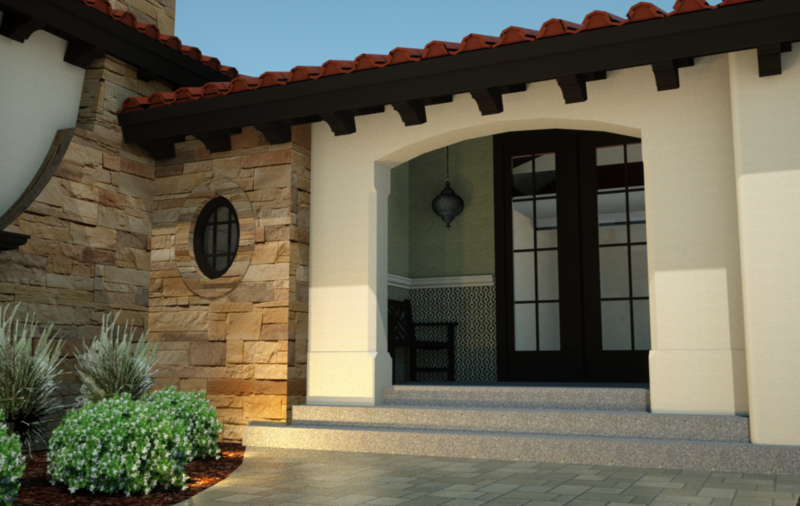 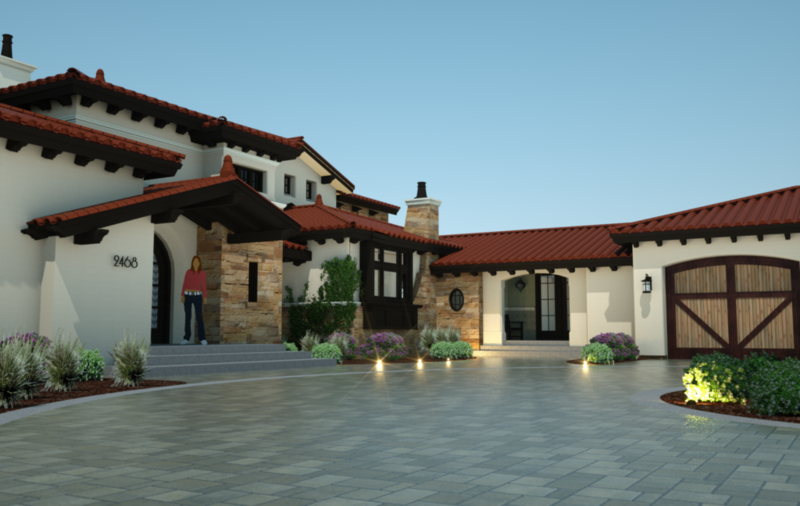 Natural stone, exposed timber rafter tails, Spanish clay tile, and a smooth stucco walls bring a warmth to both the exterior and interior architectural detailing. 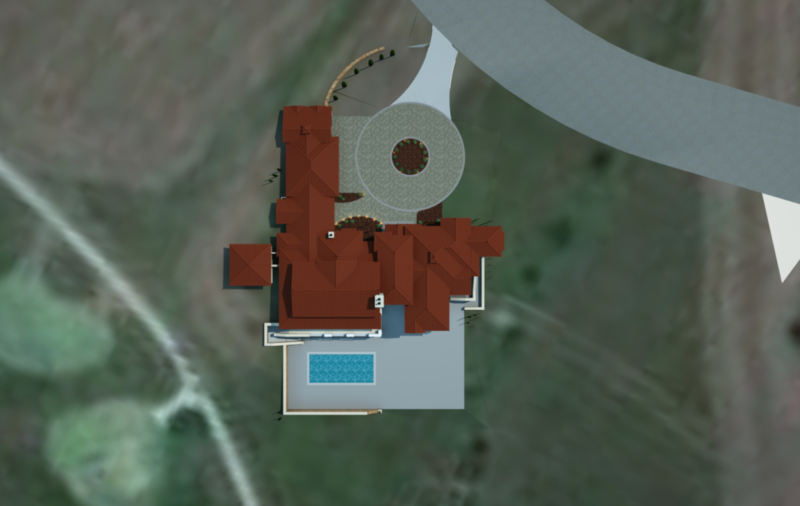 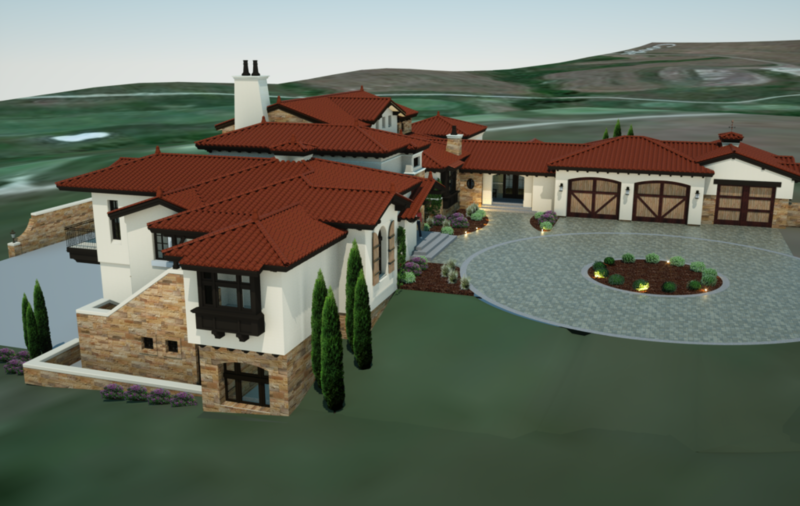 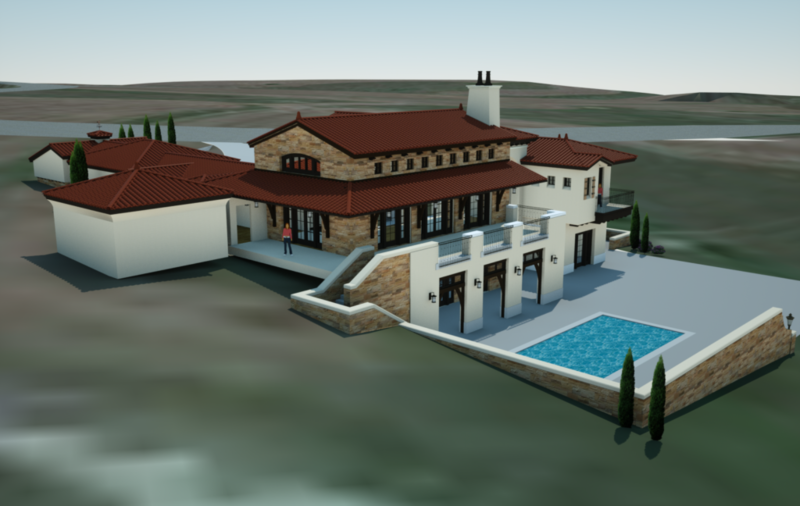 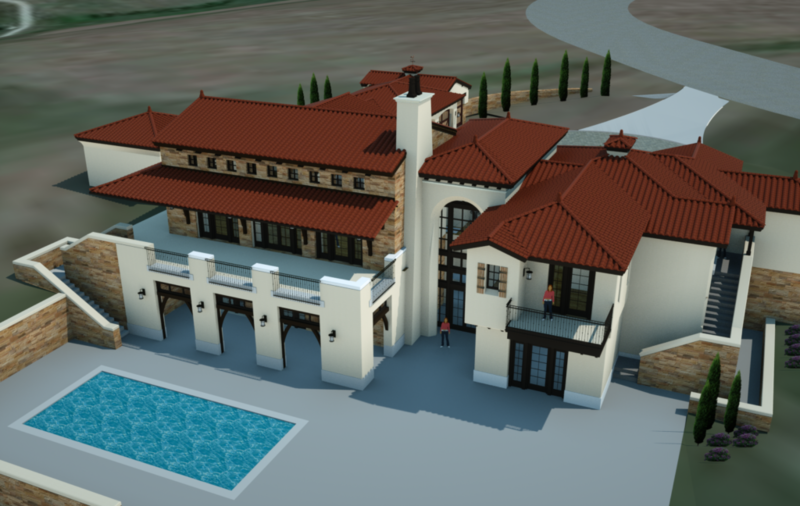 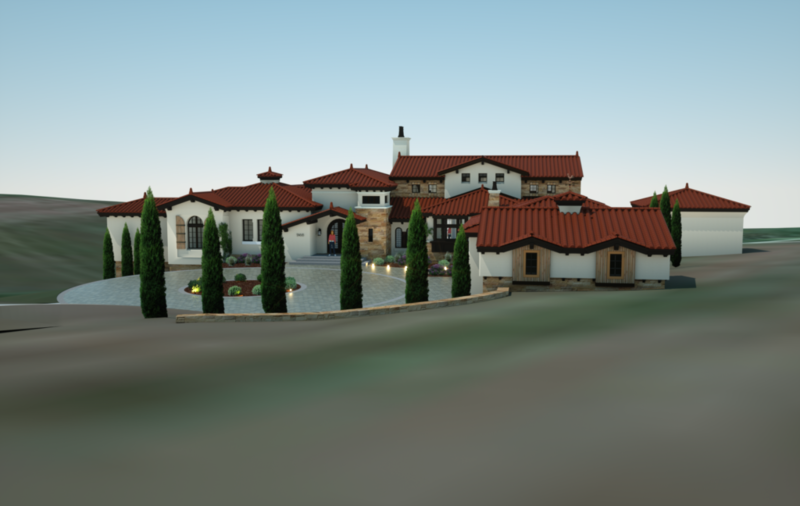 Architect: Mr. David E. Exline, AIA, NCARB, Exline Design & Architecture; 3D Imaging: Mr. Mike Munson, Munson Studios.